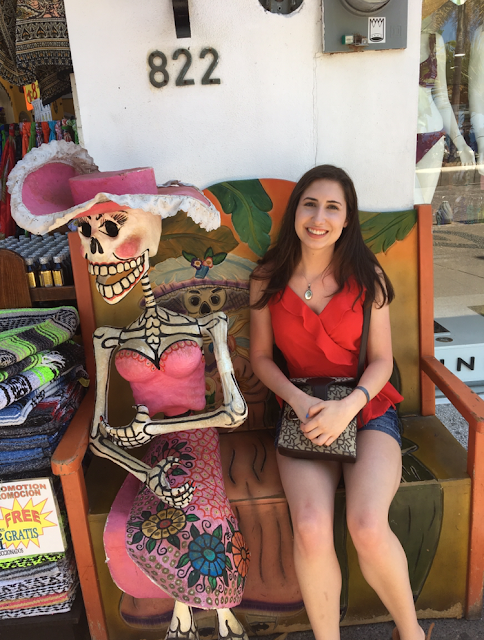 As the title says, I recently spent a week on vacation in Puerto Vallarta, Mexico with some friends and family! It was an amazing trip and it was my first time going out of the country other than little trips across the Canadian border. We went on lots of activities and I want to share what I would recommend to anyone who wants to go to Puerto Vallarta! My aunt and (new) uncle also got married while we were in Mexico so my family has a lot of great memories from this trip. 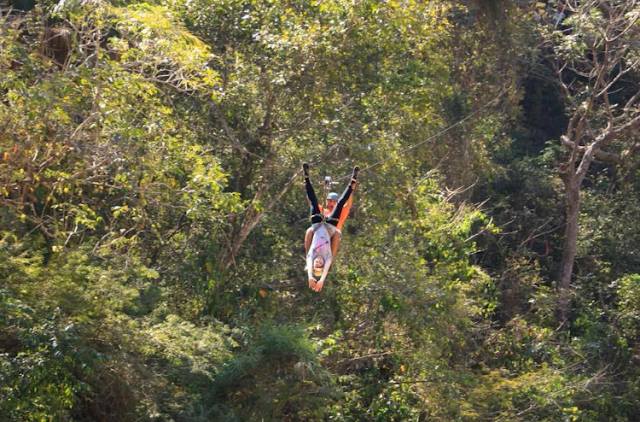 I am not an experienced flier, but luckily the friends and family I traveled with knew what they were doing! 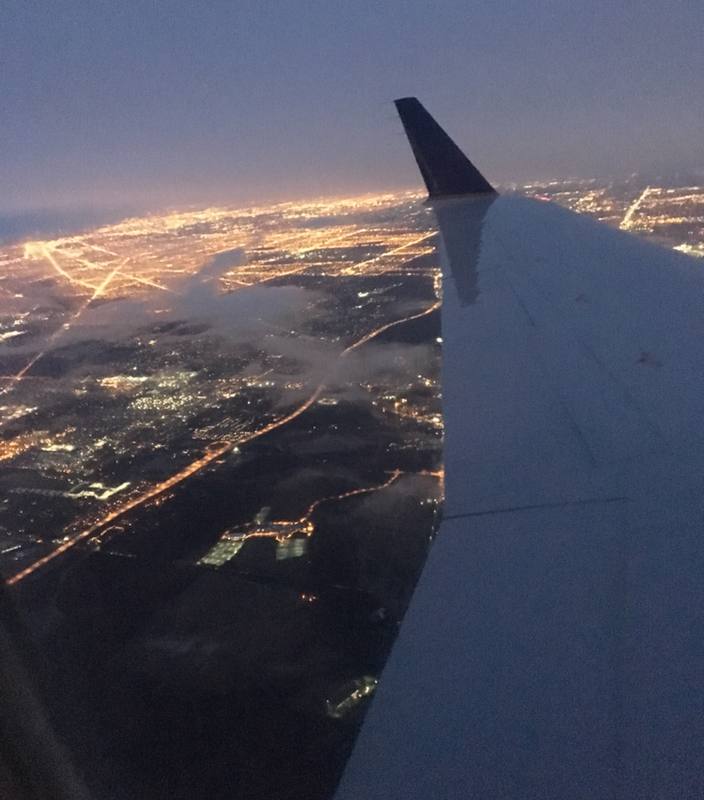 We drove from our town to Flint, Michigan, and flew to Chicago early in the morning. Flint to Chicago was about a one hour flight. From Chicago, we went directly to Puerto Vallarta, which was around five hours! 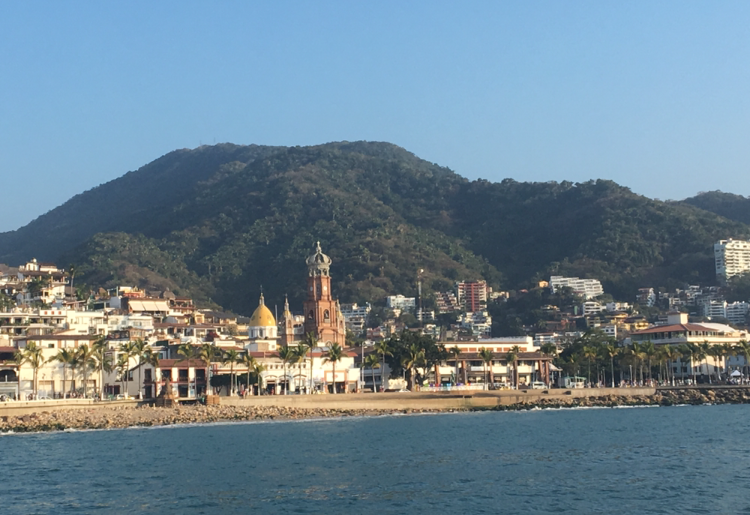 Puerto Vallarta was two hours behind our usual time in Michigan, so we arrived in the early afternoon with a lot of time to explore, get settled, and hit the beach. On the way back we encountered some problems, however. Our connecting flight from Chicago to Flint was pushed back for hours with a risk of cancellation. It was an issue with the plane itself, not with the weather. Luckily we made it back that night, though it was very late when we landed in Flint and someone in our party had their luggage lost. We flew with United in case you were wondering! 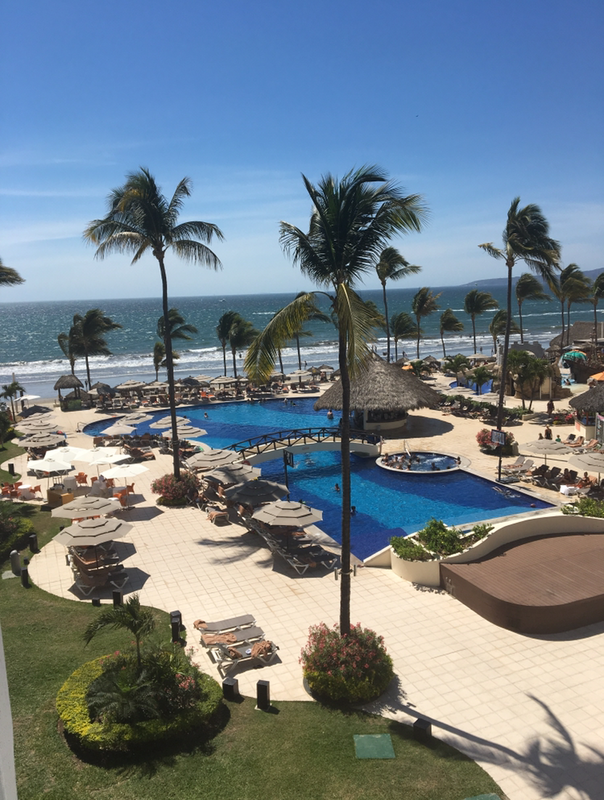 We stayed at the Marival Resort which is in Nuevo Vallarta, the newer part of Puerto Vallarta. It was about a thirty minute taxi ride from the airport (the traffic was crazy) and it was near the University and several other resorts. I was blown away by how nice it was! There were a lot of restaurants and bars to choose from, several different pools, it was on the ocean, and I loved my room. I shared it with my best friend and we freaked out over our balcony when we first saw it! The staff was so nice and they spoke much better English than I did Spanish. I'm still craving margaritas from the bars! 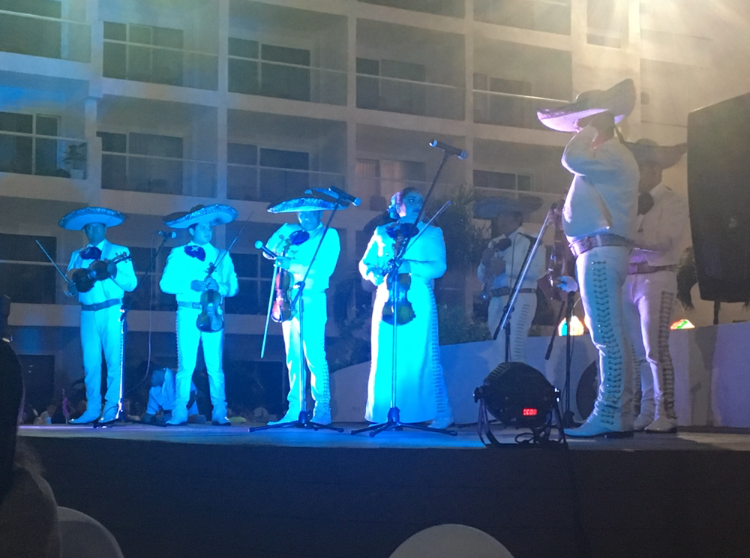 The resort offered a lot of different activities each week, like a live mariachi band, fire dancing, free boogie boards, and more. Like I said, the Marival resort had a lot of different restaurants and I think we ate at all of them at least once. I'm not a big fan of Mexican food in general, so I was worried about what I would eat, but I had some great fish, steak, pasta, etc. I loved the Italian place! Breakfast was great, as well. We ate out in the town of Puerto Vallarta once. 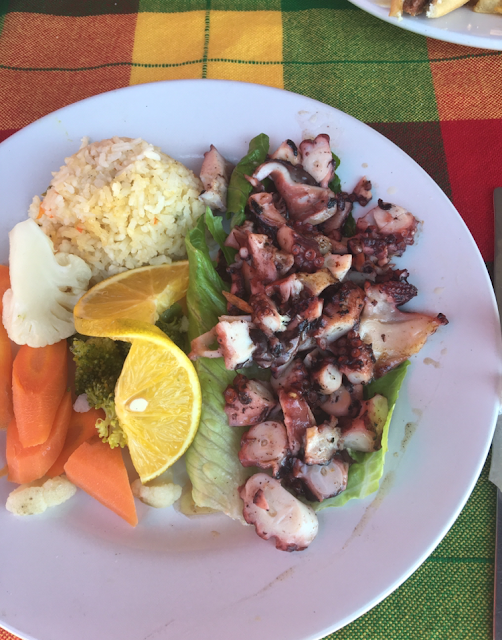 We stumbled across a little place right on the beach and I had octopus...which I was iffy about, but it wasn't bad. The drinks were amazing, too, especially the margaritas! We went into the town of Puerto Vallarta several times and it was so beautiful. 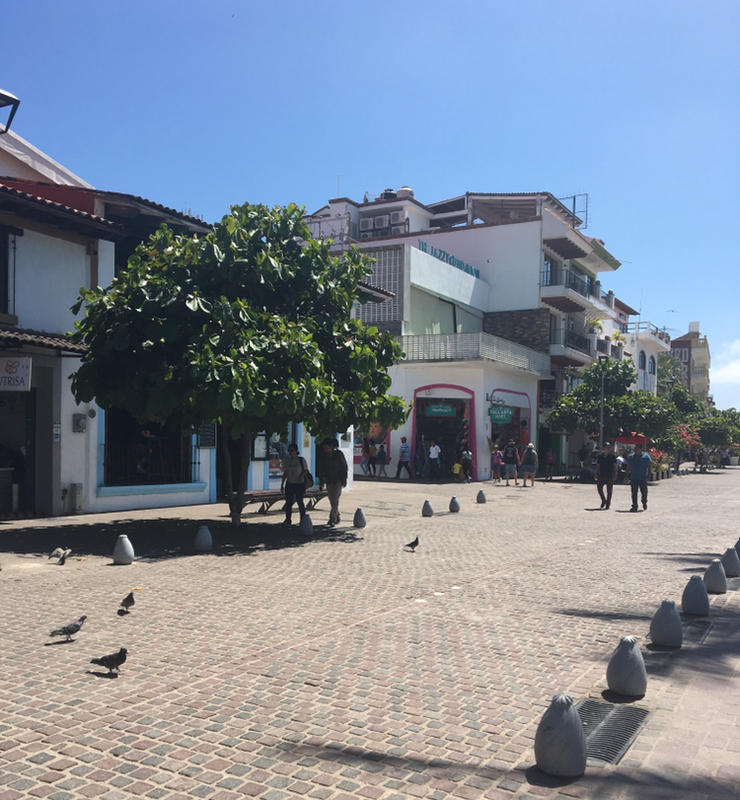 The traffic was insane, especially in the cobbled streets of old Vallarta. Being a part of a big group, we felt very safe in the town and we did a lot of shopping. I speak pretty good Spanish, at least enough to have a (stunted) conversation, but I didn't need to use it most of the time. 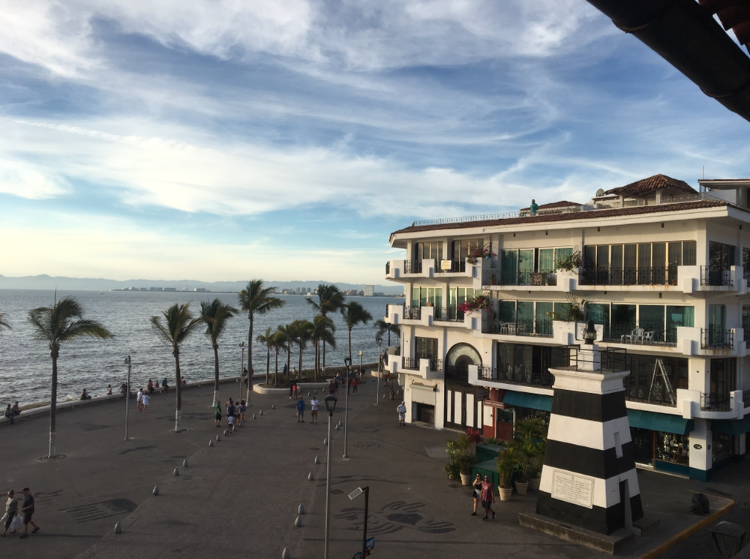 The town had a lot of tourist shops, beautiful architecture, flowers, and a great view of the ocean and the mountains. I definitely recommend taking a day to explore if you go there! The poverty was very sad to see, however, especially if you venture up into the mountains. I went on a long snorkeling excursion with Vallarta Adventures to Las Marietas islands. 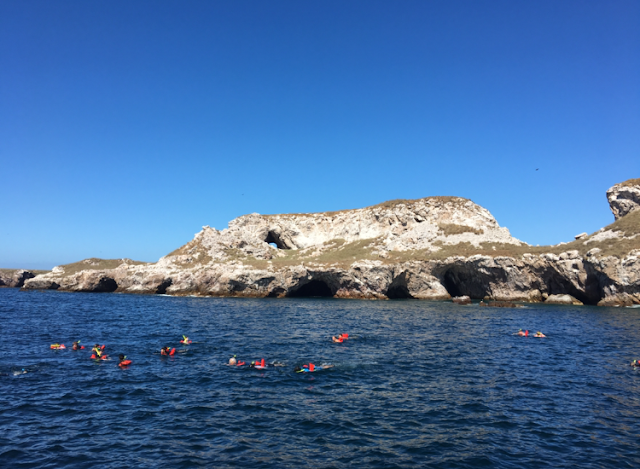 It was a long, sometimes chilly boat ride, but the staff were great and really entertaining! We didn't see as much wildlife as I had expected by the islands were beautiful and there were some pretty fish. Then we were taken to a private beach for beach volleyball, boat rides, and paddle boarding. On a different night, my aunt and uncle rented a Catamaran whale-watching ride. We sadly didn't see any whales, but the sunset was beautiful and I loved seeing the town from the boat. It was also the perfect light for photographs! My aunt and uncle got married the next day so we treated the Catamaran as an engagement party. Our resort was right on the ocean so we had a variety of water activities to do. I love the ocean so much so I was excited to try surfing again! The waves weren't the best for surfing, but I stood up a couple of times. 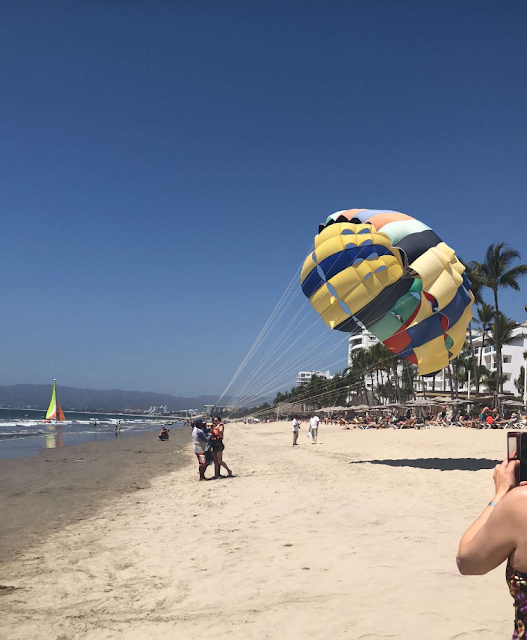 I definitely recommend Body Boarding or Parasailing in Puerto Vallarta more than I recommend surfing. Parasailing was surprisingly relaxing and I'm excited to try body boarding on some of the big waves that we get on Lake Superior! 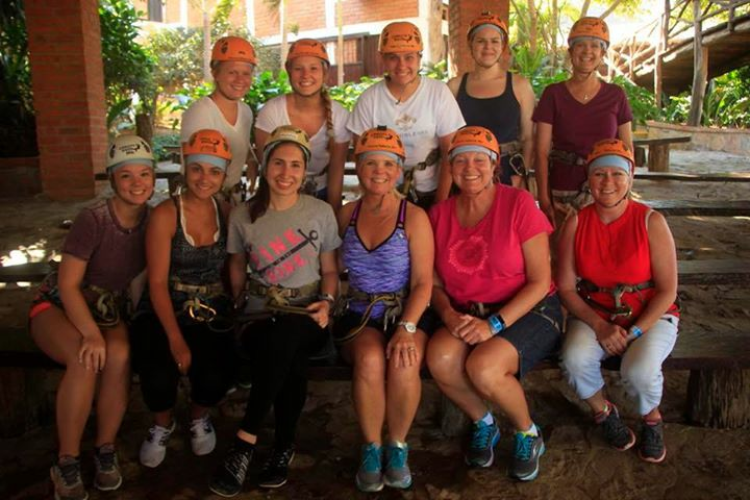 On our last full day in Mexico I went with a big group of girls to the mountains for zip lining! I've been zip lining before in Michigan but the view was just stunning. It was a lot of fun and we also got dipped in the river at the end! Then we went back to where we started on mules. The mules were so cute but sadly I think I'm allergic. 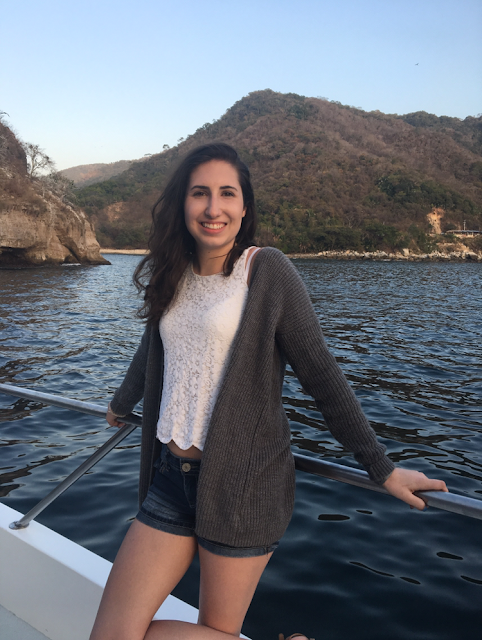 I can't decide if zip lining or snorkeling was my favorite activity, but I definitely recommend going to Puerto Vallarta if you're thinking of a Mexican vacation! It was beautiful and safe and there were so many things to do if you're not the kind of person who wants to sit and tan all day on vacation. What city is your favorite place to travel to? I did love Puerto Vallarta (and I'd go back in a heartbeat) but I'm a Michigan girl so I'll say Detroit! 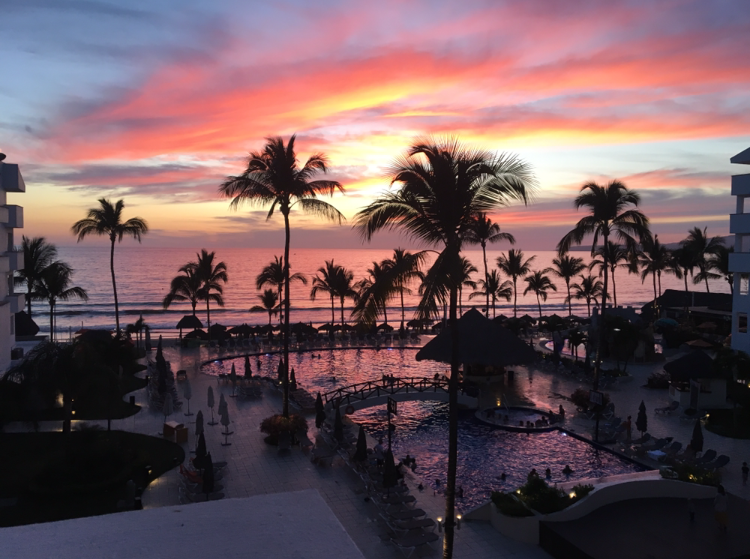 12 comments on "A Week in Puerto Vallarta, Mexico"
Beautiful photos and that sunset in the first one is incredible!!! Look at these wonderful colours in the sky, amazing! Gorgeous pictures, and it looks like you and your family had so much fun! My husband and I were originally going to go to Puerto Vallarta for our honeymoon but we ended up going to Playa del Carmen, which is on the opposite side! (south of Cancun) and oh my gosh the beaches were gorgeous (and turquoise with white sand), and we could've swam there for hours. I love Mexican food, so we ate to our hearts content. We still want to go to Puerto Vallarta or Cabo especially since they are on the side where we live! Looks like you guys had a brilliant time! It looks like you had such an amazing holiday, I cannot wait for a summer break soon! Looks like a lovely time! Definitely getting that wanderlust feeling after looking at all your pics!